Quite simply, if you are fit enought to drive a car, you're fit enough to fly a microlight. From 2016, an online medical declaration has been introduced by the Civil Aviation Authority. Their standard is that of the DVLA Group 1 Ordinary Driving Licence (ODL) and you must not suffer or have suffered from a list of specified medical conditions. 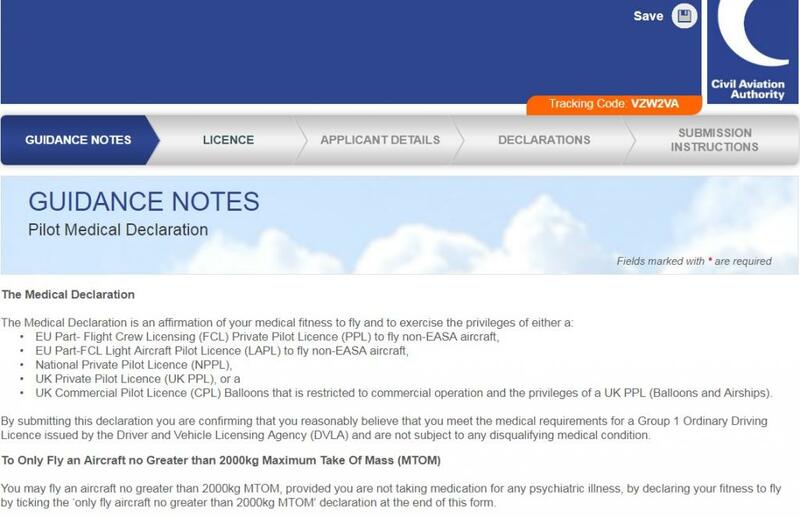 If you suffer from any of the above, you will not be able to use the declaration form and will instead have to visit an Aviation Medical Examiner for a LAPL (Light Aircraft Pilot's Licence) medical. If you have any questions regarding your medical fitness, we are also happy to discuss them in confidence and give what advice we can.